Only tantalizing tatters of facts and inferences remain about the 17th-century English composer William Cranford. His birthdate is unknown. He might have come from East Anglia. He might have lived until 1645. We do know that, upon the death of Prince Henry in 1612, Cranford wrote a six-voice elegy “Weep, Brittaynes, weep,” which implies the composer was probably part of a musical circle in London around St Paul’s Cathedral. And then there is Cranford’s music, almost as obscure as the man himself. Last year, the new American ensemble LeStrange Viols made its CD debut on New Focus Recordings with most of Cranford’s consort works, recorded for the first time. 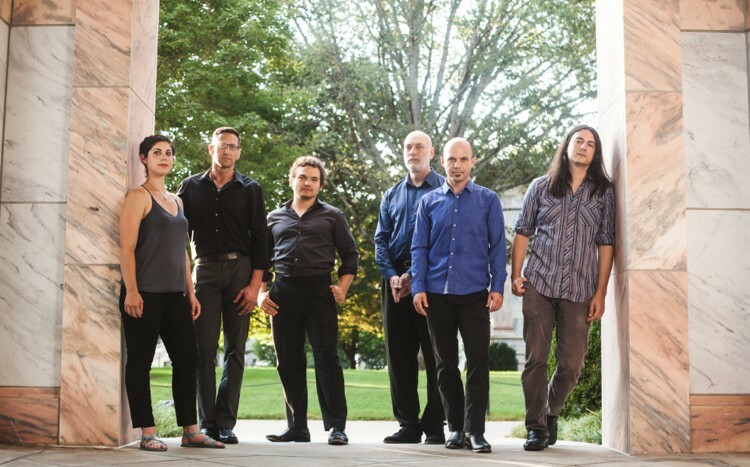 The group’s founding members are Kivie Cahn-Lipman, Douglas Kelley, Loren Ludwig, James Waldo, John Mark Rozendaal*, and Zoe Weiss. A performer on viola da gamba and baroque cello, Weiss, 32, is completing her doctorate in musicology at Cornell University. She spoke recently about her ensemble’s launch with this little-known repertoire. 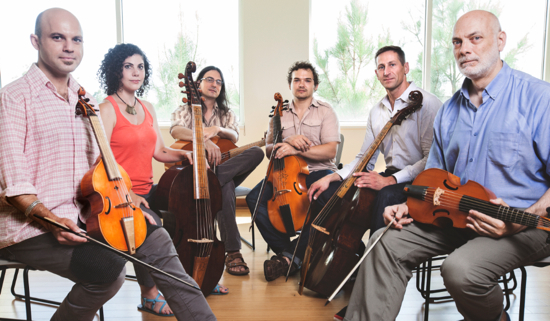 How did LeStrange Viols come to focus on Cranford? We are a musicologist-heavy ensemble! Loren Ludwig wrote his dissertation on 17th-century viol music, and other members have done research and archival work, so we have a lot of scholarly resources within the group itself. Loren came up with the idea to look into Cranford’s music since we wanted to contribute something new with our voices and these works had not been recorded before. We also wanted to do a single-composer album. Back when you would shop at a CD store, this made the music easy to find, and that was something we thought about. Cranford’s music is weird and colorful, and once we started playing it, we really loved it. His music is quirky, with a lot of linear chromaticism and sudden changes in texture. One hears madrigal influences, mixed street cries, some use of hocket. There are quotations from his contemporaries, such as William Byrd, William Lawes, and John Ward. At times it sounds as if the tessitura is very high for the instruments, and that pieces begin in one key and end in another. All of this makes Cranford quite exciting and unpredictable. That’s exactly right. Cranford does a lot of unconventional mode mixture as well. One of my favorite places is in about the middle of Fantasia No. 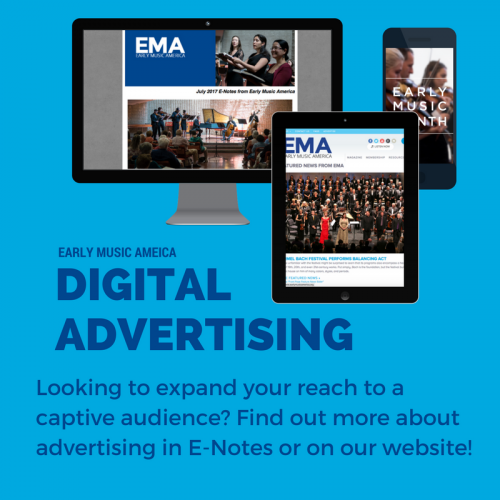 1, where you have a vertical C major chord; the treble is on E natural. In the very next measure it plays E flat, and then goes back to E natural. In the next section, you notice the chromaticism is reversed: E flat, E natural, E flat. He’s teasing, playing a game. Yes, it does feel like that, playing on a set of shared expectations to an audience that will hear the in-joke. If you are steeped in this tradition, you would find this amusing and engaging. One thing gamba players love to do when we meet up is to stay up late, usually with a lot of beer, and read through tons of literature. And when I’ve been with colleagues playing through Cranford for the first time, I’ve seen them hit a spot like this and raise an eyebrow, like, “Really?” That’s what Cranford is like — he’s very witty! As far as we know, Cranford wrote twenty consort works. On the album you recorded sixteen of them, in addition to a dozen fantasias for four, five, or six viols. The fantasia form certainly fits his quirks! Aside from these, what are Cranford’s four other consort works? There are three trios we didn’t put on the album because there was no room. The last one is the Walsingham Variations set, which another consort — a group called quaver, with a small q — had already recorded. LeStrange Viols takes its name from Sir Nicholas L’Estrange, spelled slightly differently, who was an aristocrat from Hunstanton, Norfolk. Presumably, he was also a viol player who collected music, including Cranford’s. What else do we know about him? Sir Nicholas was the brother of Roger L’Estrange, familiar to historians as an outrageous censor for the royalty; he suppressed quite a lot of stuff. But the L’Estrange brothers were indeed aristocrats who would have grown up playing viols. The L’Estrange manuscript is unusual, though not unique, for its annotations. Whoever wrote it all down kept track of all the variants, whenever a note was different. This was a detail-oriented culture. Cranford was part of this circle of viol players who all knew one another, and you hear that in his music, with quotations of other composers. Rather like coterie-poetry, it was a very inward-facing, insular circle. These days, it’s not unusual for musicologists to perform and for early-music instrumentalists to be musicologists, though sometimes there is that unfortunate divide. Given the group’s particular scholarly abilities, how is the process of rehearsal? We have strong personalities, but also a great group dynamic, which is why we wanted to work together. We often assign someone a piece to focus on, but our major rule is to say yes when someone has a crazy idea about phrasing or tempo, etc. We may not end up with it, but we always try it. This is an attitude we cultivate, an openness to pushing the boundaries of what is possible on the viols. In terms of sources, did you use the Virginia Brookes edition? We started with Brookes as a clean text but then went back and looked at original sources to decide what we wanted to include. This type of notation is ambiguous at times. There are a couple of places where we have added musica ficta or chromatic alterations, where we felt there were notational errors based on our knowledge of the period. I remember talking a lot about proportions — when going from duple to triple, whether we would we proceed on equal beats or by equal subdivisions. We are not notation fetishists, as some early-music people can be. What was powerful about the rise of the early-music movement was reassessing our notions of notation. As performers, we need to read Leopold Mozart, for example, to see what that notation meant to him. But you can get stymied as an artist if you just do what the page says exactly. On the recording, the ensemble achieves a lovely and impressive unity, elegant phrasing, and a kind of textural seamlessness essential especially for viol consorts. In order to be able to make the voices heard separately when they should be, it is necessary to make them cohere as well. I am curious to know more, technically, about the sound production. A portion of William Cranford’s Fantasia No. 1 for 4 Viols. We spend a lot of time obsessed with intonation and matching bow strokes. But my sense is that that is a similar process with elite string quartets. You do want to make your own sound individually, so it can come in and out of focus as part of the group sound. I have a different feeling in my body in terms of my approach with the viol as opposed to the baroque cello. With the cello, it feels like one acts upon it, you put pressure on the bow from above. Whereas the viol feels as if you invite it to speak, with the underhanded bow grip, the relaxed weight of your arm, and you are just getting out of the way to get the viol to resonate. We are really cultivating resonance as a group, so that if you have perfectly pure intervals — and we always aim for pure intonation — then the instruments speak beautifully. 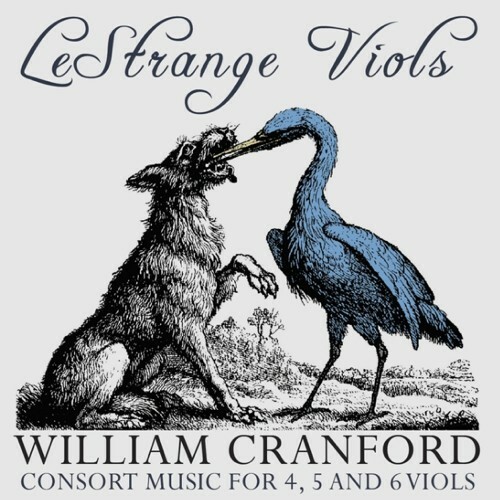 The Cranford recording was a momentous launch for LeStrange Viols, one of the most strikingly original and exciting early-music debut albums I’ve heard in years. I see from your website that some touring is planned. Are there more recordings in the offing? We are working on selections from the British Library Additional Manuscript 31390, which includes some works collected by Clement Woodcock. It’s an amazing document and mixture of pieces, with one of the earliest books for viols in table book form [staves laid out in a circle on the page so players could sit around the table and read the score], published twenty years before the Lacrimae of Dowland. This compendium includes In Nomines, fantasias, liturgical music, and much that has not been recorded. A lot of it is untapped, and it’s beautiful. My favorite is a piece by Picforth. We only know his last name and this one work, in which all five lines have entirely serialized rhythm. Entirely serialized rhythm? That makes it sounds like a holdover from the motet. Yes, it’s a little isorhythmic. You end up with this amazing rhythmic matrix that sounds like Steve Reich! At times we play it pizzicato. I can’t wait to hear that. And you have another recording in the offing? Yes, it’s a disc of music from 31390, and Catharina Meints, with whom several of us studied at Oberlin, has generously offered the use of the Caldwell Collection of antique viols. Several of those instruments date from the Elizabethan era. We’ll be recording in August and it will be released probably in 2018. Last summer you spent time work-shopping some new music written for viols. What is it about the viola da gamba that makes it a valuable sound to bring into 21st-century composition? In a set of viols, the bowing is all the same, unlike the combination of, say, cello and violin. So effects can be subtle. As a group, we have been experimenting with overpressure on the bows, harmonics, sul ponticello [playing near the bridge], and other extended techniques that really work well on these instruments. The history of viol consorts is one of viol players who composed for their own groups. That isn’t conducive to the 19th-century concept of the solitary genius writing for an orchestra. But the way composition is going these days, with much more collaboration, viols are a perfect medium for composers who want to create a deep connection with performers. * John Mark Rozendaal may be familiar to EMA readers from his 2014 conversation with Tina Chancey about teaching group lessons on gamba. Johanna Keller teaches journalism at Syracuse University’s S.I. Newhouse School, where she founded the Goldring Arts Journalism program. Former editor of Chamber Music magazine, she is music critic for The Hopkins Review and won the ASCAP Deems Taylor Award for essays in The New York Times.